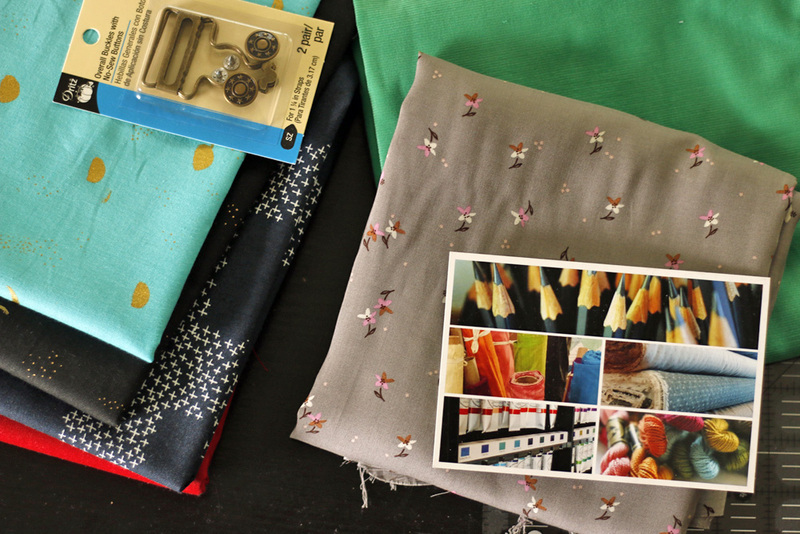 Earlier this month I ordered fabrics from The Confident Stitch and from Fiddlehead Artisan Supply for fall garment sewing projects. And, I may have happened on some quilting cottons too... I’ve already sewn the Rifle Paper canvas into last week’s Maddie Jumper, but there’s more to come! Let me show you what I’m cooking up. First, something for me! Here I go, trying to sew my own clothes again. Sometimes things go well for me, garment-sewing-wise, and other times I flop out. But, I think I may be onto something this time. Check out this nubby chocolate fabric! It’s a wool/rayon blend from The Confident Stitch. I was browsing wools looking for something for Rora when I read that this Lana Bollito fabric would be “perfect for a warm, drapey cardigan.” Yes, please! I pretty much live in wraps as soon as the weather dips into the 50’s. I really hate to be cold! I’m thinking that this Jalie Cocoon pattern should be easy to fit. Fingers crossed! I did find a heavier fabric for Rora’s next jumper at Fiddlehead Artisan Supply. Ok, I found a lot of things there… But, at the top right is a baby wale green corduroy I’m going to use for her next jumper, this time with overall buckles! Fiddlehead has corduroy in 31 different colors and weights. I am fan. I also scored a nice cut of Dollhouse rayon for Rora’s Thanksgiving dress and a stack of Cotton & Steel fabrics (on left) that I’ve used and loved before. It’s nice to have the chance to restock some favorites! So, when I was done finding my garment fabrics, I took a spin through Fiddlehead Artisan Supply’s quilting cottons. I was thrilled to find so many “old” goodies that I’d wanted to restock. Usually I don’t restock prints, but these are fabrics I used almost as soon as they arrived: Paper Cuts, Not Minus, Beads in Ink, Snake in Cantaloupe, and the Moon Phase fabrics. I also added some new to me: Queen Anne in Navy, the Fanciful prints and that cloud print, which I fell in love with via a customer’s quilt! If you are a fan of Carolyn Friedlander, Tula Pink or Cotton & Steel, you might want to take a look at some of the gems she’s collected in quilting cottons! Well, anyways, when they arrived a bit of fabric serendipity happened. These fell together in a charming little autumnal collection that obviously wants to me my next quilt. I think I shall oblige!